Want to give your hospitality business its own unique character? 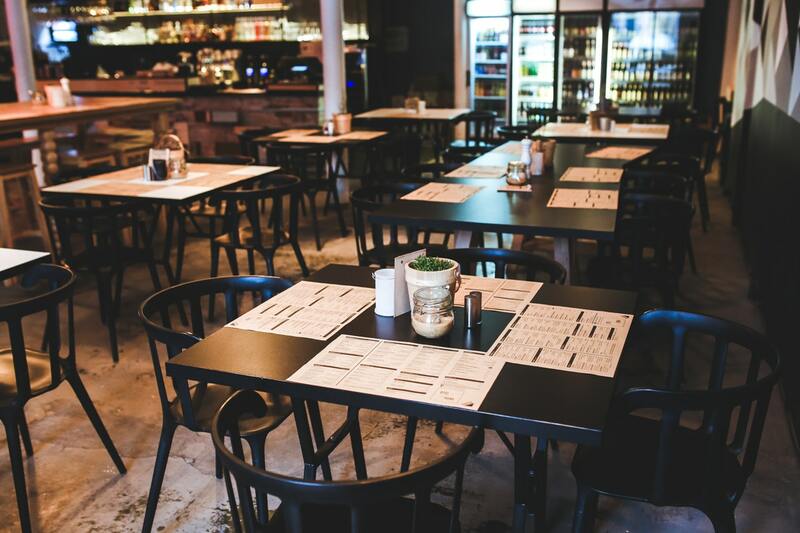 Whether you’re the owner of a restaurant, bar or coffee shop, with these 5 simple steps you can build a recognizable brand that’s loved by your customers. The very first thing aspiring entrepreneurs and foodies think about when they set up their own restaurant, bar or coffee shop is their vision. Part of the dream of owning your own establishment is creating an original place that serves great food and drinks and brings happy customers. Nevertheless, when it comes to actually setting up the business it’s easy to get buried underneath things like leaseholds, licensing and all that other dry stuff. Sooner or later the branding is put aside altogether, and the business opens its doors without any definitive character. This can be catastrophic for a new hospitality business. Bars, restaurants and coffee shops shut down every week due to a lack of clear branding. Building a brand is essential if you want to set your restaurant, bar or cafe apart from the competition. It makes you recognizable and memorable. You’ll stick in a customer’s mind when they’re talking to their friends about great cafes or bars in their area. This is why it is essential to create your concept before you open. The peak of great branding is when the name of a business replaces the actual product. For example, someone may say they are off to get a Starbucks when they are going to buy a coffee from Starbucks. Although your brand reputation may never reach the heights of Starbucks’, with these steps, you can build a distinct and recognizable brand. Before you go about creating a brand for your business, you will have to establish your concept and what you want to achieve. To do this, you will need a mission statement. This is made up of three things: a value statement, a vision statement and a mission statement. A value statement is what makes your establishment unique and what sets it apart. This isn’t really about what you’re setting out to achieve, but how your company and employees should behave and what you believe in. This can cover such things as what you want your customers to experience, the working culture for your staff, and what kind of effect your business will have on the community surrounding it. A vision statement is essentially your plan for the future. It’s one or two lines detailing what you want your establishment to become and how it’ll differ from the competition. For example, it could be something like ‘To introduce a new style of Vietnamese cuisine to English customers.’ This should be more about your company’s goals than your own. When creating these statements many new businesses look to the competition to see which routes they took to create their statements. This can work. However — it may sound cheesy — but also look inside yourself, reflect on what you would love to see in a restaurant, and write that down. No matter how good a restaurant, cafe or bar’s brand is, if it doesn’t fit in with its location then it’s unlikely to do well. Research the neighborhood where you want to set up. Look at the demographics. Ask yourself who’s living there. A bar brand that serves expensive hipster cocktails will probably not work in a sleepy village. Look at the existing hospitality businesses in the area. What brands are doing well and why? Naturally, you don’t want to copy a competitor’s brand but they can inspire you to create something unique. Then again, there may be an opportunity to introduce a restaurant, bar or cafe that the town’s residents have never seen before. Just because they are not used to a certain brand does not mean that they won’t enjoy it. It’s about finding the balance between creating something safe and something original. In brand building across all industries, the first thing marketers look at is their target audience: the people they want to reach. It’s the same for restaurants, bars and cafes. Get an idea of the sort of people who would enjoy what you’re selling and who you would like to use your business. With this you can go as specific or general as you like. For example, you could have a restaurant who caters to everyone from families to couples. On the other hand, you could be looking to reach a certain group of people, such as a bar that wants to become a meeting place for the LGBT community. Either way, establish who you want to get through the doors and shape your brand around them. Thinking about what a whole demographic of people want from a restaurant or a bar can be tricky. A good way to simplify this is to think about specific people in your life who fit into the culture of your target audience. This could be you, your family or your friends. Imagine that you are building a brand specifically for them. It’s also wise to ask them what kind of brands they like and what they look for in a hospitality business’s brand. Like everything else in the branding process, your name must reflect your original concept. Go back to your mission and value statements and figure out a name that can help you achieve these. With the huge number of bars, restaurants and coffee shops out there, it can be difficult to find a name that’s original. And it must be original. Check that any names you come up with are not trademarked, otherwise, you could end up with some legal difficulties. One way of getting something original is to play around with the punctuation and spelling of your name. Perhaps include a hyphen, an exclamation mark or omit some vowels. Not only can this make your name original, and avoid copyright infringements, but it can make your name unusual and help it to stand out. Be careful with this, however: you do not want to make it look like you’ve made a spelling mistake or end up with a name nobody understands. Place names can be a wise approach to naming your restaurant, bar or cafe. Some establishments literally just use the name of their address or their postcode. This can be effective in a number of ways. In a sheerly practical sense, if people hear the name of your business, they’ll already know where they can find it. Moreover, sharing the place can help you become an integral part of the community and the location. In certain instances, a well-formed pun can work for a name. Think ‘Central Perk’ from Friends. Bar, restaurant and cafe pun names are traditionally a reference to popular culture mixed with what the establishment sells. For example, in Boston US, you can find an Aesop’s Bagels — a pun on Aesop’s Fables. Other good examples include the vegan ice cream restaurant, Like No Udder and the pizza restaurant, Basic Kneads Pizza. With a smart pun you can put a smile on the faces of your customers, stick in their minds, and get them talking about you. Despite this, there are few things worse than a bad pun. Unless you have a clever idea for one, it’s best not to go into that territory. The last thing you want is to come off as wacky or gimmicky. Although there’s no one method to choosing a great restaurant name, there are certain qualities that all good brand names have. As mentioned, step one is making it original. The next step is making it emotionally evocative. Emotion in this sense doesn’t mean it involves tears. Rather, an emotionally-charged name brings up some kind of feeling, whether it be excitement or comfort or humor. Lastly, try and keep it simple. Stay away from names that are hard to pronounce or are too long to remember. Once you have the name, it’s time to think about the visuals. Your brand visuals will make up your logo, your shop front and your menu. Your brand identity will also translate into your in-house aesthetics, such as your furniture and layout. Much like deciding on a name, you must think about your location and target audience when creating your brand visuals. It should also reflect your original concept and the food and drink you plan to deliver. It’s a good idea to look at some of your favourite brands outside the hospitality industry, such as clothes and technology. If you can do some research on your target audience, look at what kinds of brands resonate with them. What kind of visuals do they have that makes them so appealing? You can get inspiration from them. Again, there’s not one method that fits all. However, there are some rules that most marketers follow to create some great brand visuals. Although different brands use different colours, they all tend to only use two or three. Too many different colours can be overwhelming to the viewer. What’s more, having a primary set of colours that you use for across your logo, shop front and your menu can give you a more consistent brand and make you more recognisable. Try to avoid really bright, brash colours. These can be uncomfortable to look at, they often look cheap, and can turn potential customers away. Use softer colours and hues, which can be found on the outside of the colour wheel. The benefit of having a great logo is that you can put it across everything that you use — not just your shop front and social media page, but also things like take-away bags and business cards. These are the items that your customers will walk around town with, so having an effective logo and name on them can be great for spreading your name around. It’s effectively free marketing! This means that it needs to adaptable to different mediums. It needs to work both with and without colour. And has to be able to be scaled up and down to different sizes. An overly-complicated logo may not look so good when scaled down to a business card size. Another rule most designers abide by when creating a logo is balance. Most logos are symmetrical and are usually in a circle shape. Of course, you don’t need a perfectly symmetrical circle shape for your logo, but make sure that one half of your logo is not busier than the other. The reason for this is that a balanced logo is cleaner, nicer to look at, and can instill trust from your customer. Great branding can be the difference between a business that goes off with a bang and one that fails to ignite. It’s how you present yourself to the world, and how people recognise you, so it’s crucial that you make sure that you’re professional, memorable, and approachable. Your branding doesn’t need to be ornate or complex. In fact, it’s better to keep things simple. But you do need to put some thought into how your new business is branded.